So, now you too can add this sweater to your little girl's wardrobe. 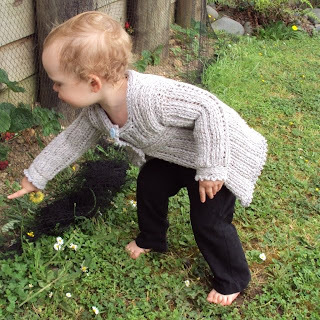 Pattern includes sizes newborn to 12 years. I've put the skill level at advanced, because it is a bit more complicated. It helps if you've made a sweater before. I love the look of this pattern but it is missing the amount of yarn needed. I'll post pictures of it when I'm all done! As you may understand, since I provide such a wide variety of sizes in the pattern - newborn to 12 years - I have no way of estimating how much yarn each size will take.